Here is where you get started. 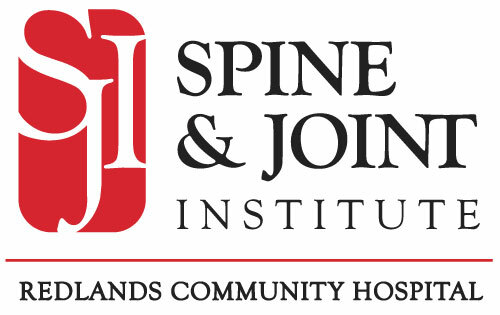 The Spine & Joint Institute wants to make the process for your procedure and recovery as simple and informative as possible. You will find our Patient Guidebooks, which will be given to you once you are scheduled for surgery, cover each specific procedure program, and answer many questions about what we do, and what you can expect from SJI physicians and staff. These Guidebooks are designed to be a handy, one-source reference guide to explain what your upcoming surgery will entail, familiarize you with our treatment and recovery procedures, and enlighten you on what you can expect during your stay with us. The more information you have about your treatment and recovery, the more aware you will be about what you can expect from SJI. In addition to our SJI Patient Guidebooks, you can connect with more helpful information on these sites. You can also visit these additional sites for more information. Please call (909) 335-6737 to reach the Director of the Spine and Joint Institute. If she is unavailable, please leave a message and she or her designate will return your call and provide you with the assistance that you need.